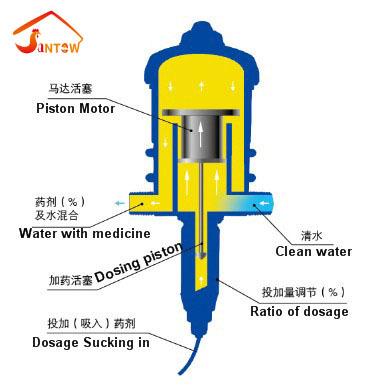 1.Do not rely on electricity but on hydraulic drive,adding a concentrated dose accurately. 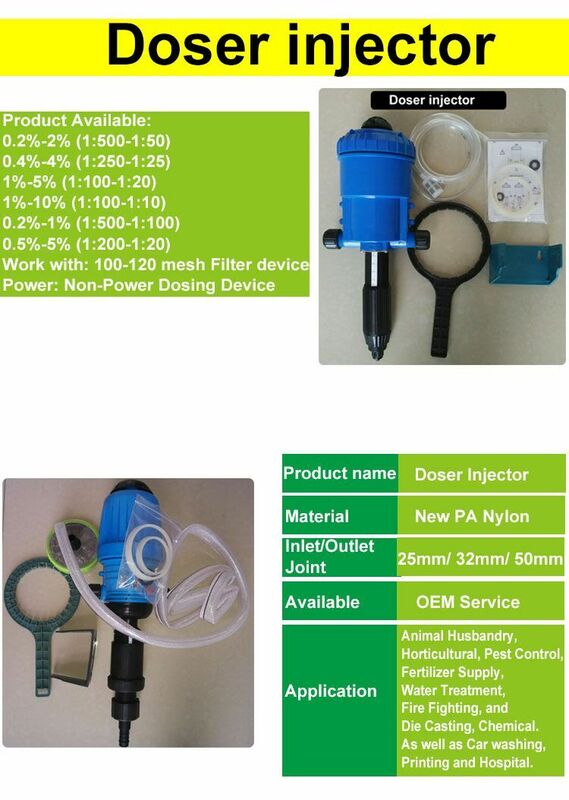 3.Easy to adjust and Carry; separable external regulator; changing ratio. 5, other industries: car washing / printing / hospital / liquor and so on.